AT THE HIGH POINT MARKET, April 2017: Luxury brand Marge Carson presents the Grand Traditions Collection, a spectacular showcase of craftsmanship and artistry rarely seen in furniture today. The European-inspired, 24-piece Grand Traditions has elements of Italian, French and English design, with particular influence from 17th and 18th Century Italian antiques. 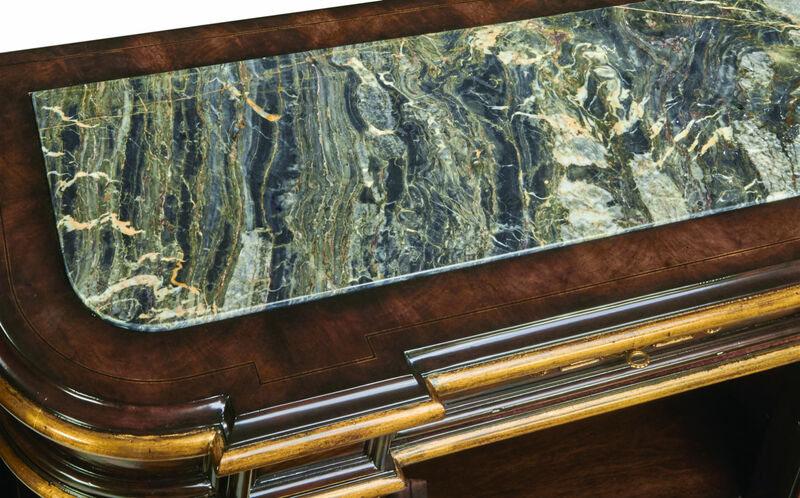 “This collection is finely crafted, from the Walnut Crotch Veneer, to the gold and bronze silver leafing, to the lost-wax cast hardware to the exceptional Michelangelo Marble,” said Jim LaBarge, chief executive officer of Marge Carson. Generous scale that makes the collection a natural for large homes with big rooms and high ceilings. Intricate and opulent carvings. Particularly notable is an intricate climbing leaf-and-vine design on the poster bed, enhanced by hand-applied Venetian Gold leaf. A flowing ribbon design is carved in solid mahogany on the panel bed headboard, footboard and side rails. Solid-brass, hand-cast hardware using the lost-wax technique. Hardware finishes include Satin Brass, Antique Brass and Antique Nickel. Distinctive stone and metal. The exquisite Michelangelo Marble, used on the tops of several pieces, features a spectacular blend of black, gray, white and orange in a dramatic, explosive pattern. Forged metal is used on a stretcher-treatment on a console. Deep, rich, hand-embellished finishes enhanced by gold and silver leafing.  The two primary finishes are Havana and Bombay. Accent finishes include Burnished Silver and Noche. Trims are in Aged Gold, Venetian Gold and Verona Silver. Another earmark of the collection is its “total customization capability, from the finishes to the sizes of the cases to the hardware,” Tilley said. Grand Traditions is crafted of Mahogany Solids and veneers including Ropey Cherry, Walnut Crotch, Ash Swirl, Quartered Ash and Quartered Walnut, with inlays in Tulip Wood, Maple and Walnut. The rare veneers are one way that Marge Carson updates the classic design of Grand Traditions, Tilley said. “This walnut has a unique color and is striking in the tight and creative flame detail. We also update this classic style through using more intricate, refined carvings, the Aged Gold, Venetian Gold and Verona Silver leafing and the dramatic Michelangelo marble that has a current look,” he said. This is the only piece in the collection featuring rare and expensive Walnut Crotch veneer, offering the intrinsic beauty of the veneer’s color, along with the tight flame of the crotch itself. The top of the table is spectacular, and is surrounded by an antique mirror border that is hand-painted with a leaf-and-vine design with shades of gold and silver to complement any tabletop pattern. 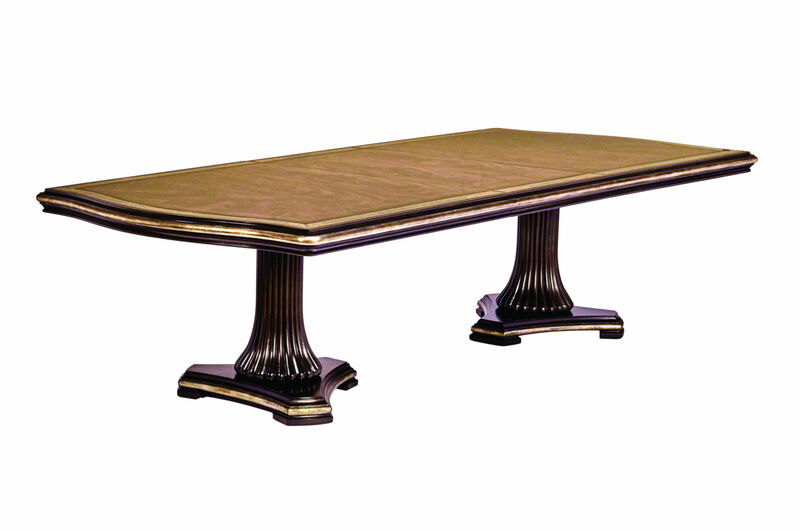 The top edge and pedestal base moldings are finished in Venetian Gold. 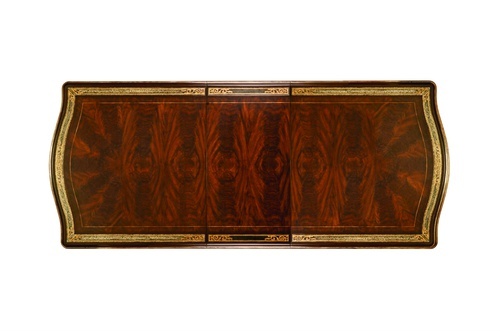 This dramatic piece has a sculptured top, case and base moldings that break forward to frame dramatic carvings, veneers and hardware on the two curved doors. The piece showcases the spectacular colors and explosive patterns of the Michelangelo Marble. 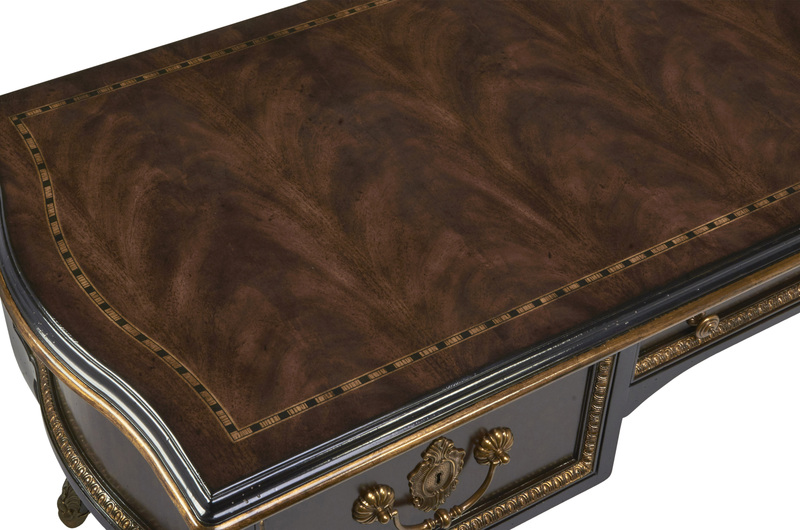 The case is crafted of Mahogany Solids and Swirl Ash Veneers inlaid in a diamond pattern. 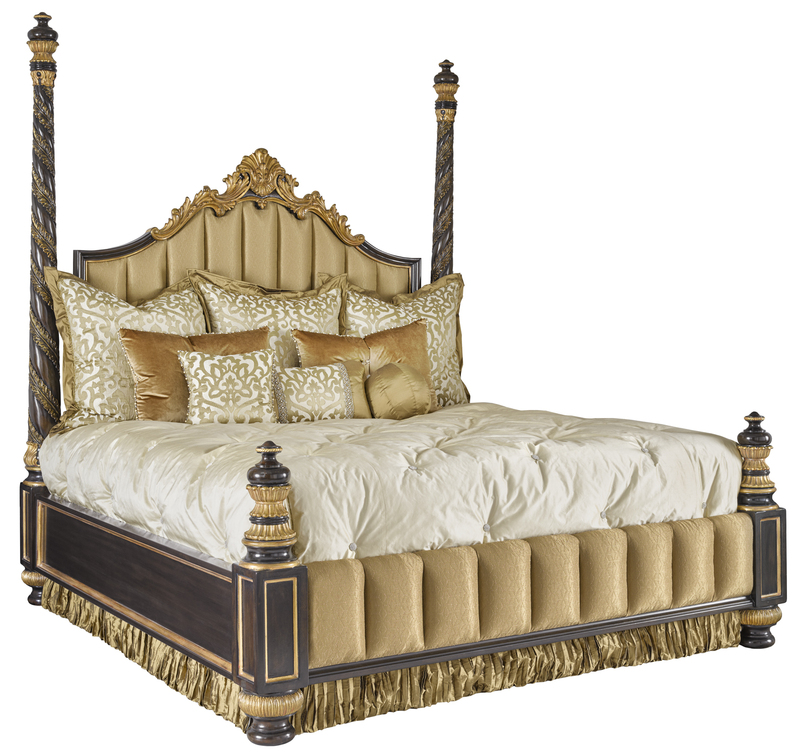 The extensive use of intricate carvings, enhanced by hand-applied Venetian Gold leaf, makes this bed a tribute to craftsmanship and artistry. The crown carvings on the headboard are of the leaf and shell design. Hours were required to carve, finish, leaf and assemble this magnificent bed. Khaya Crotch veneers on the top field of the 3-drawer desk are surrounded by a checkerboard pattern marquetry inlay of Tulip wood, Maple and Walnut. 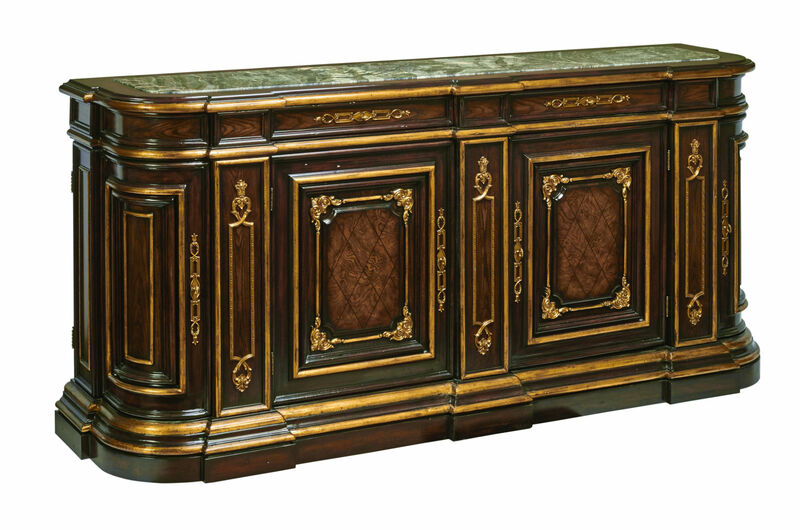 The inset panels on the drawers and sides are Ropey Cherry framed with egg and dart carved molding. 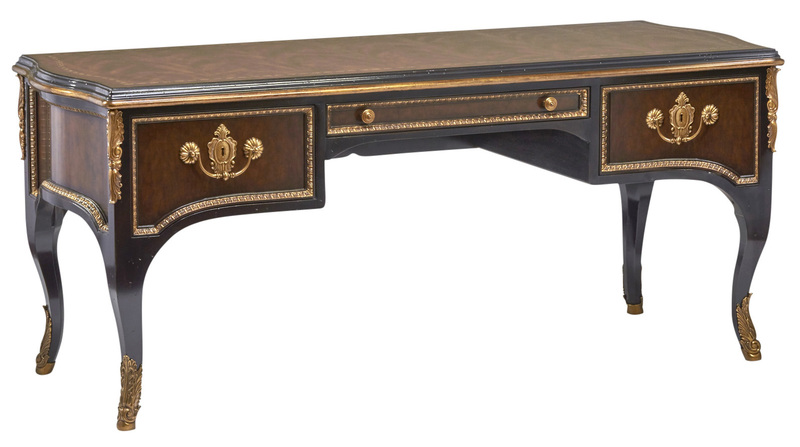 Solid Mahogany legs are greatly enhanced by decorative Ormolu hardware to top and foot.